In many parts of the Northern Hemisphere, summer vacation is coming to an end and families and teachers are getting ready to head back to school. If you are a homeschooler or a teacher of 3-6 year olds, you are probably starting to make plans for the coming school year. 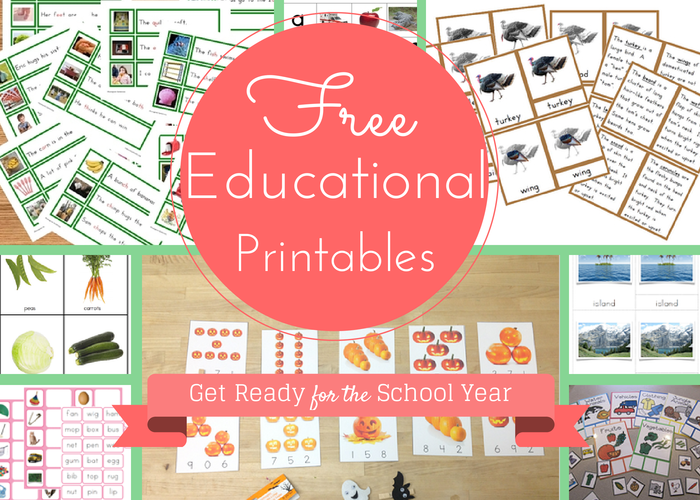 Today I’d like to share with you some of my favorite free Montessori-friendly printable resources from around the web that you can use in your classroom or homeschool room. Get your Montessori Record Keeping systems in order with this free scope and sequence set from the Helpful Garden, or this one from Montessori Works. Get more ideas about how to manage record keeping and ideas for curriculum planning from Trillium Montessori. Kids-Pages and Kidsparkz have a huge collection of free flash cards in a variety of categories that can be made into matching and nomenclature cards. Montessori Printshop and Montessori for Everyone also have a great collection of free downloads for your Science shelves. I’d also recommend taking some time to explore Renae’s blog, Every Star is Different. She is a prolific producer of all kinds of Montessori-inspired printables and shares them generously with her readers. You will find 3-part nomenclature cards for all kinds of things there! In addition to the standard materials, like the ones above, that you will want to have on your shelves year round, try adding the following thematic printables through the year to bring some variety and interest to your various curriculum areas. Some of these printables can be used as-is, but some will need a few adaptations to be suitable for your Montessori shelves. 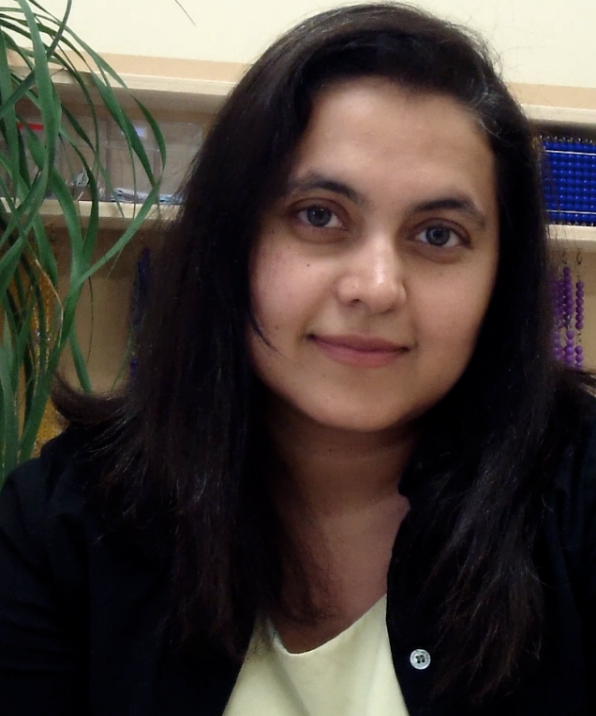 Seemi is a 3-6 AMS trained Montessori teacher from North Carolina. She has been in love with Montessori since 1998 when she first fell into it on her way to a “real job” after grad school. Having spent a number of years in the classroom and as a school administrator, she opened her own Montessori school and now spends her time working with her amazing teachers, students, and parents, and writing for the TrilliumMontessori Blog. Seemi enjoys making printables that can be used in a Montessori-friendly way and shares many of them for free with the Trillium Montessori Blog subscribers... follow her on Pinterest and Facebook for more Montessori inspiration and goodies. Are you looking for affordable Montessori lessons and activities! Check out Lisa Nolan's affordable online Montessori programs!